My family’s new favorite meal! 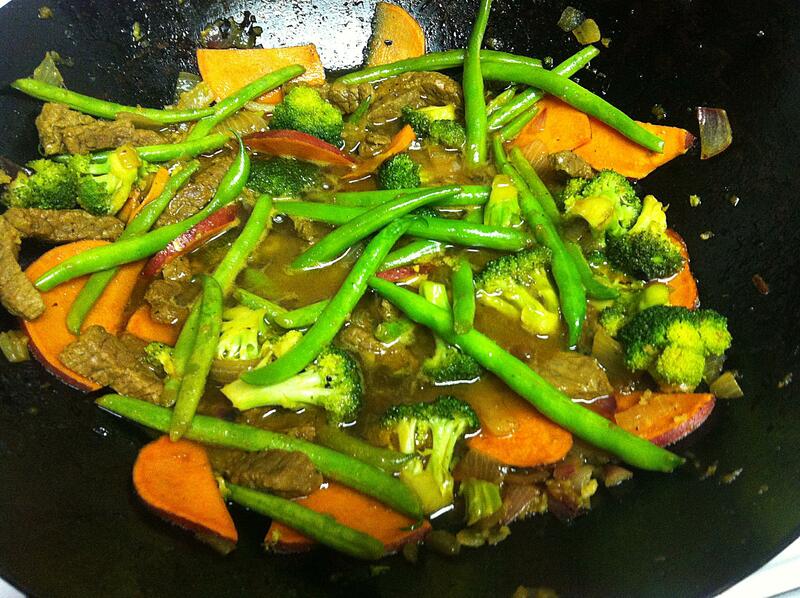 Heat wok or large skillet on medium-high and add 1/4 cup rice bran oil. Add elephant garlic and turmeric and bison and onion. Add vegetables and cook until they are at the texture you prefer. Add sesame oil, coconut nectar, tamari sauce, and fresh squeezed lemon. Stir fry a few more minutes and add arrow root. After around 30 seconds, the sauce should thicken. Posted by simplycookingrealfood on October 17, 2013 in Main Dishes.